“Everyone” knows that the collision of an asteroid with Earth damaged the environment so much that the dinosaurs died out and only much smaller creatures survived. Many also know that the impact crater, the Chicxulub crater, has been found beneath the surface near the Yucatan peninsula. Just consult Wikipedia, or Google for more sources. Except: Google also turns up some reservations, for instance “What really killed the dinosaurs? New challenges to the impact theory” (BBC program). see Dewey M. McLean, “Impact winter in the global K/T extinctions: no definitive evidence”, pp. 493-503 in Global Biomass Burning: Atmospheric, Climatic, and Biospheric Implications, ed. J. S. Levine, MIT Press, 1991. 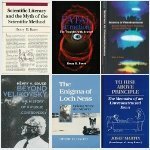 Prothero’s review is of the book by Lisa Randall, Dark Matter and the Dinosaurs: The Astounding Interconnectedness of the Universe, which postulates the presence in the Milky Way (our galaxy) of a disc of “dark matter” that somehow periodically liberates comets or asteroids that go on to cause periodic extinction events on Earth. In his amazon.com review, Prothero also debunks the notion that extinctions follow an identifiably periodic pattern. My own trouble with Randall’s speculation is that “dark matter” is no more than a fudge factor necessary to make Big-Bang cosmology fit the observed facts. There is no shred of direct empirical evidence that “dark matter” exists. Things just don’t add up in Big-Bang cosmology. Actual observations of quasars and galaxies do not jibe with calculations based on the known force of gravity and on the presumption that redshifts reflect speed relative to Earth (Doppler effect). There isn’t enough gravity. So “dark matter” was invented to yield that needed extra gravity. “Dark matter” is associated with “dark energy”, for which we have no evidence either. All this “dark” stuff is supposed to make up more than 90% of the universe, at the same time as “dark” is the euphemism for “we know nothing about it, we just need it to make the equations balance”. This collection of science fiction is treated respectfully by the media. — see Halton Arp, Quasars, Redshifts and Controversies (Interstellar Media 1987) and Seeing Red: Redshifts, Cosmology and Academic Science (Apeiron 1998); for a summary, see pp. 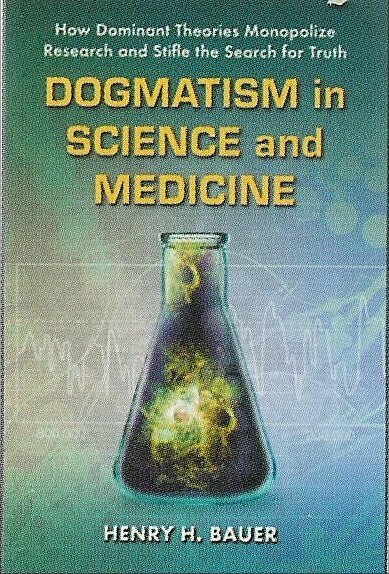 113-18 in Dogmatism in Science and Medicine. Which all goes to show, as many others besides me have often remarked, that “What everyone knows is usually wrong (about science, say)”. On all but the most non-controversial issues, TED talks and Wikipedia entries are among the sources most likely to be wrong, moreover wrong dogmatically, insistently, aggressively, uncompromisingly, as they treat every contemporary (and thereby temporary) mainstream consensus as Gospel truth. Randall is a physicist, so she is not familiar with the range of views among paleontologists and geologists. 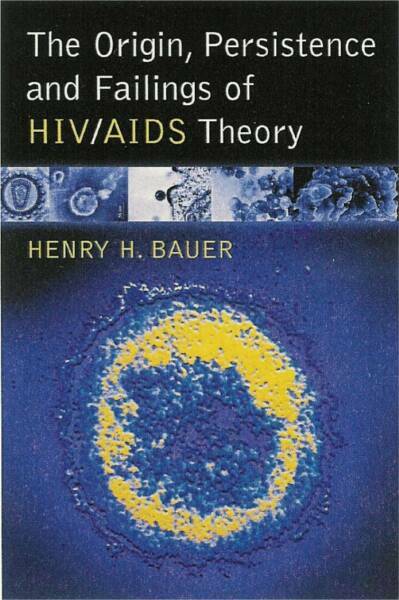 On the matter of HIV/AIDS, one finds economists like South African Nicoli Nattrass (The AIDS Conspiracy: Science fights back) and political scientists like Courtney Jung (Lactivism: How feminists and fundamentalists, hippies and yuppies, and physicians and politicians made breastfeeding big business and bad policy) getting the facts totally wrong, even citing mainstream sources incorrectly. 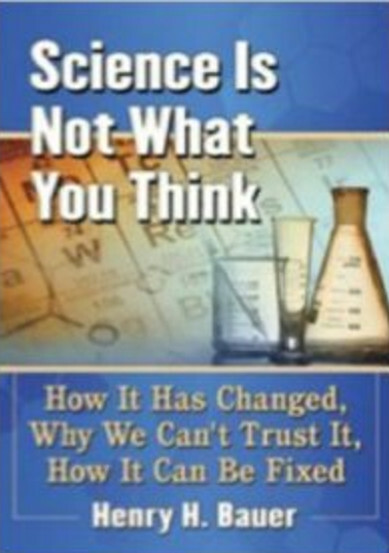 Many social scientists get a whole lot wrong about science, as when Steven Shapin asserted that scientists don’t value their technicians appropriately (p. 142 in Fatal Attractions: The Troubles with Science, Paraview Press 2001). No one is immune, because we cannot look at the primary evidence on every topic of interest, so we have to decide, more or les by instinct, which mainstream beliefs to accept, at least provisionally, and which to doubt enough that further digging is called for. I went wrong by accepting mainstream views about UFOs and about homosexuality, for example, and I’m probably wrong on some other issues where I haven’t yet woken up to it. But at least I’m aware of the problem. The media, though, apparently are not aware of it, nor are the publishers who put out books like Nattrass’s or Jung’s or Randall’s.